Smith, Dennis. "Toronto Feature: Rogers Centre". 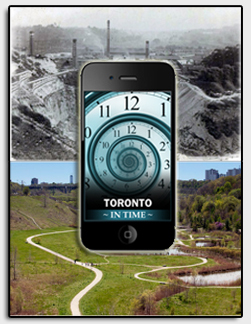 The Canadian Encyclopedia, 18 March 2016, Historica Canada. 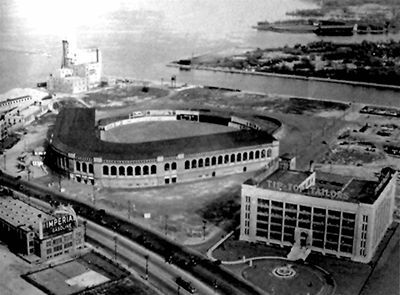 https://www.thecanadianencyclopedia.ca/en/article/toronto-feature-rogers-centre. Accessed 24 April 2019. A 1346-tonne panel of the SkyDome's roof (left) inches its way along the top edge of the stadium for the first time, January 1989 (photo by Bernard Weil, courtesy Toronto Star). 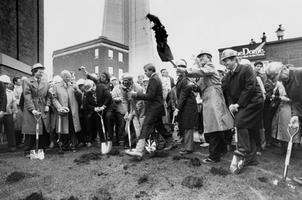 Mayor Art Eggelton throws a spade full of earth into the air to break ground for the 3 million domed stadium near the CN Tower, October 3, 1986 (photo by Dave Cooper, courtesy Toronto Star). 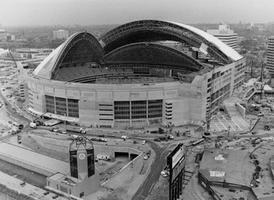 A completed SkyDome on opening day in 1989 (photo by Ed McAskill). "SkyDome Opens to a Downpour"
It's the Rogers Centre today, but before 2005 the home of the Toronto Blue Jays and Toronto Argonauts was SkyDome, a name that celebrated the world's first fully retractable ceilinged multi-purpose stadium. In the lavish opening ceremonies in 1989, the performers sang "we'll never get wet," off-key football players celebrated "no football in the rain or slush," Ontario premier Bill Davis pointed a laser pen at the ceiling and the roof began to open--to a drenching rain. Soaked fans finally fled to the concourses when their chants of "Close the dome!" went unheeded. Civic pride in the marvel of engineering and public art faded a little as financial realities became public. SkyDome opened with a $165 million debt--much of it created by adding a luxury hotel to the complex. By 1993, that debt had ballooned to $400 million. It was estimated that the stadium would have to be booked for 600 days a year to get out of debt and turn a small profit. The Ontario government paid the debt from the provincial treasury in 1994 and sold the stadium at a discount. In 1998, the private owners filed for bankruptcy protection. The stadium passed through subsequent owners until Rogers Communications bought it in 2004 and devoted millions to updating it. There have been glorious moments below the dome, most famously the Blue Jays' World Series championships of 1992 and 1993. Among its attendance records are the 68 000 fans who wedged in for Wrestlemania X8 in 2002.